home > > News Release > The 50th COMPAMED & MEDICA Show 2018 in Dusseldorf Germany!Join us in Hall16 at Booth H16A02! The 50th COMPAMED & MEDICA Show 2018 in Dusseldorf Germany!Join us in Hall16 at Booth H16A02! The 50th Medical Equipment Fair(MEDICA 2018) will be held at Düsseldorf Germany,from 12th-15th November,2018. and close to 124,000 professional visitors will come to Dusseldorf for the trade fair. We sincenery invite you to visit our booth Hall16.A02. It’s our great honor to have your presence. 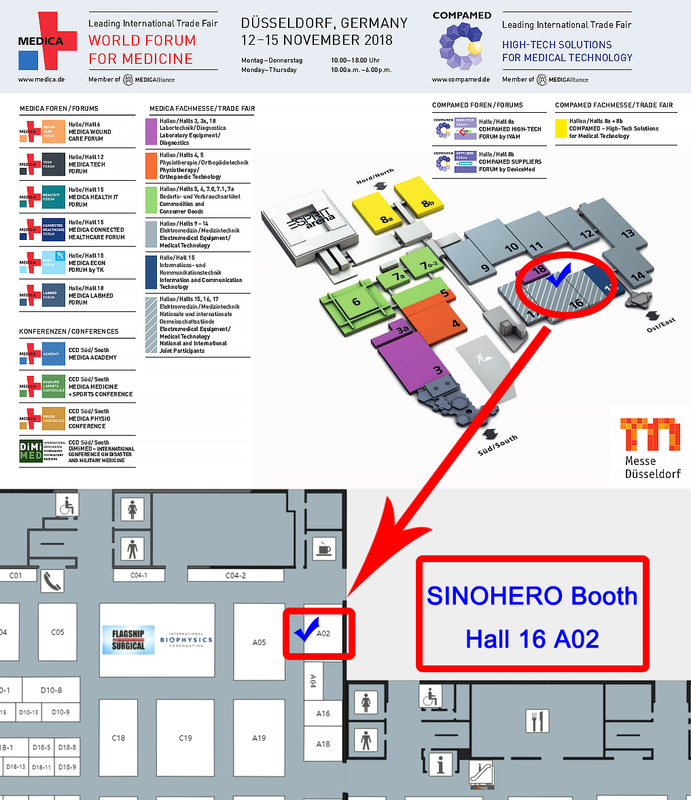 next：2018 Medica | Welcome to visit SINOHEROMED in Hall16 A02!